Find My Workspace lists over 95% of the business centres market in Milton Keynes. Simply click Request Quote to check pricing for one office, or Add to Basket for multiple offices. 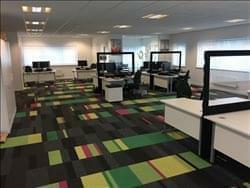 Based in the outskirts of Milton Keynes, this centre offers a neat and efficient workspace solution for potential tenants. The space comes with a wide range of amenities to ease the burden of moving into a new office. The centre offers administrative support as well as IT support and an onsite management team to facilitate your transition. Tenants can also benefit from 24 hour access, allowing you to ditch the traditional 9 till 5 working hours and work to a schedule that suits you. The centre also has a kitchen facility, which is cleaned professionally everyday. Tenants also have the option of broadband packages – with packages starting from as little as £12.25 a month, as well as a digital phone line package starting from £10 per month. Other amenities include CCTV, one parking space and breakout space. This building is currently under refurbishment, developing 3,500 square feet of office space to the highest standard. The rental price is great value and starts at just £199 per person, per month, inclusive of utilities, IT, cleaning services and business rates. Available on flexible terms, this is a great business park location for businesses of all shapes and sizes. 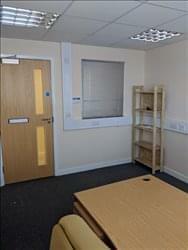 The centre provides a fantastic bright and airy working environment. The property is secured with CCTV 24-hours a day and features an on-site cafe. Tenants can access the centre’s kitchen facilities and take advantage of the high-speed WiFi connection. The building has a stunning light and airy atrium reception and seating area which gives a real sense of arrival to the building. The offices can accommodate between one to 20 people and can be let on short or long term licences on either a furnished or unfurnished basis to suit your requirements. The fully equipped meeting rooms can also be hired by both internal and external clients. Virtual offices, mailing addresses and hot desking are also offered for those working from home and for mobile working. The space is fully accessible 24-hours a day, and has fantastic transport links across the local area and beyond. This recently refurbished centre situated in Old Stratford offers a range of flexible co-working space for 1-4 people, ideal for small business or start-up companies. Offices here are fully furnished and benefit from fibre optic Internet, printing and copying facilities and large windows filling the space with an abundance of natural light. With 24 hour secure access and on-site parking this centre is perfect for any business hours. Along with flexible terms there is all-inclusive pricing so you can move in with peace of mind that there will be no unexpected costs each month. The building is constructed to a high specification, carpeting, raised floor and double glazing. Offering space for up to 14-20 members of staff, the centre is in a great location and within a 10 minute walk to a mainline train station. The offices have been newly refurbished to a high standard and are accessible 24-hours a day. Flexible terms can be offered depending on the nature of the business. There are five car parking spaces allocated to office within the development with one visitor. In addition, there are ample spaces available on street and there is a public car park situated behind the development. 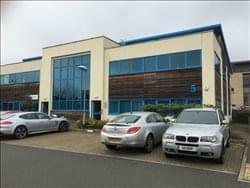 Located in Milton Keynes this office is constructed to a high standard, carpeting, raised floor and double glazing. 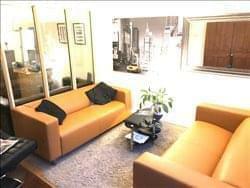 Offering space on both a furnished or unfurnished basis for up to 10 people. With 24-hour access and on-street parking this centre is perfect for any business hours. Here, included within the services charge is all utility bills, access to a fully equipped shared kitchen and ample meeting and breakout spaces, ideal for formal and more informal gatherings. The inclusive pricing ensures that you can move in to the space with peace of mind that there will be no unexpected costs each month. Bringing a vibrant new working environment to the heart of Milton Keynes, this unique workspace is a great place to work, meet and eat. Providing a perfect place for creativity and energetic businesses to prosper, come and be part of a dynamic community of incredible talent. Take advantage of the on-site, independent café in the heart and hub of the community. Serving up delicious food using fresh local ingredients, and making some of the best coffee outside of the capital, it’s the perfect place to work or take a break. The café spills out onto our external terrace, a tranquil place to grab a bite, take a meeting when you fancy a change of scene or even enjoy some free table tennis with your colleagues.